Students, faculty, family members and friends, it is my great honor to deliver your commencement speech today. It is my opinion that our society must take every opportunity to praise our young people for their hard work and accomplishment, and that is why ceremonies such as this are so important to our country’s future. It was not so long ago, after all, that a more conservative America saw things differently. What a harsh place America once was — particularly for our young students. So primitive were educational practices when I was young that our gym teachers forced us to play dodgeball and other competitive games. Can you imagine how humiliating it was to have children whipping big rubber balls at your torso, and if you got hit and failed to catch the ball, you “lost”? Our teachers enjoyed pitting us against each other inside the classroom, too, with competitive quizzes and spelling bees. They kept score, too, which humiliated the losers and greatly damaged their self-esteem. 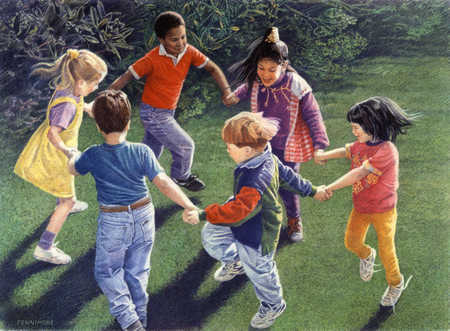 Hard as it is to fathom, my generation played keep-away during recess. One kid carried the ball and everybody else tried to rip it away from him. It was a game about individualism; there was no teamwork, and there were no rules or adults to intervene. It was you against everybody else — and it was most unpleasant. Well, dodgeball, scorekeeping and keep-away are relics of the past. Fortunately, enlightened adults are much more involved with children now, and we are able to spare children the harm their self-esteem would suffer from games and competitions. Thankfully, many enlightened adults are the parents who have contributed greatly to the accomplishments of today’s graduates. It was you who stood by, protecting your sons and daughters from every one of life’s ills and heartaches. It was you who praised them for every little effort and sought to pump them up with their own self-importance and self-worth. It was not so long ago that parents were not so enlightened. Some parents once believed their children needed to figure out some things out on their own. They actually wanted their children to spend time with friends without adult supervision, so they could learn to socialize on their own. They actually wanted their children to go sled-riding without adults keeping them safe, so they could learn to play and to engage with nature on their own. Thank goodness those days are gone! There are some who criticize the way many parents and adults coddle today’s children. They criticize “helicopter parents” who constantly hover over their children and come flying in the moment their child meets with any challenge or adversity. There are some who argue that our coddling is not doing our children any favors — that our constant intervention in our children’s lives is inhibiting their ability to learn how to invent, discover and grow on their own, and how to make decisions and adjustments on their own. They say our efforts to bolster self-esteem, by prohibiting competition and by continually giving our children praise, ceremonies, awards and commendations for every silly thing, are setting them up for failure as adults — that survival in adulthood will require real performance and results. They say that too many awards and ceremonies dilute the meaning of real accomplishment and achievement — that events like the one we celebrate today are really designed for the enjoyment of the adults, who feel the need to live vicariously through even the most minor accomplishments of their children. To them, I say: Hogwash! And congratulations to the kindergarten Class of 2013!